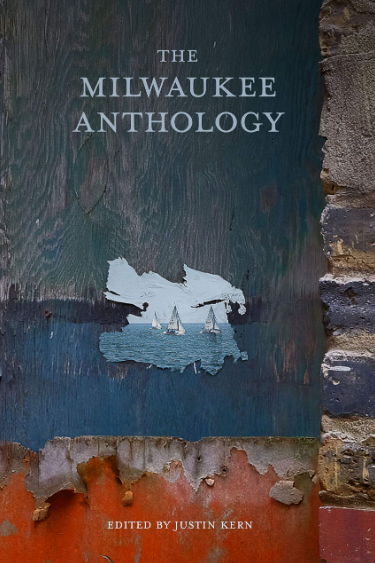 "The Milwaukee Anthology," sourced by more than 50 contributors writing from the South Side to Riverwest and Sherman Park, is part of a series featuring more than a dozen cities by the Cleveland-based Belt Publishing. Editor of the book, Justin Kern, who lives in Milwaukee, says the book is about sharing the diversity, challenges and day-to-day triumphs of the city. "For me, that meant taking our city beyond motorcycles, cheese curds, the Bronze Fonz," he said. "All of those things are great … but it's a diverse, rich place with many voices and that was one of the driving points." There is no thematic point to the book, Kern said, but rather he wanted it to be more of a patchwork, eclectic story of Milwaukee. But he does hope it shows what it means to live in the city, and encourages people to connect. "A thing that we should all consider when it comes to Milwaukee is to get to know each other, to not be stuck in our neighborhoods, to not be stuck in our homes, to not be afraid of each other, but to to explore and to find out more about each other and love each other," he said. Kern talked about three essays and one poem from the book, released Tuesday. Kaleka writes a personal essay about the 2012 Sikh temple shooting in Oak Creek where his father, the president of the temple, was killed. "What Pardeep gets out there is that there are deeper inner community values and opportunities that he has taken from that tragedy, as hard as it is," Kern said. "He does a really amazing job recounting the day before, the last time he saw his father, as well as the incident and then how the temple has tried to move forward." Growing up with his family as vendors at the 7 Mile Fair, Thomas is able to capture in a poem the spirit of the place — a flea market that is "the best of everything about Milwaukee," Kern said. "It might sound a little silly, but really it's ridiculously amazing, he does this great job of tying in his own coming to being as a man from his youth to the present day through the lens of this flea market, and it's provocative and a really funny and detailed piece," he said. Milwaukee’s Sherman Park is known most recently for the summer 2016 shooting death of Sylville Smith by a police officer, but artist and community organizer Tia Richardson says the neighborhood is much more than the headlines. "One of the challenges of Milwaukee in my thinking, and what I've seen and what I read in the book certainly, is that the city makes it too easy for us to be divided and broken up," Kern said. "Essays like Tia’s and others in the book challenge that and push people to not only get to know their own neighbors next door but neighborhoods over." The 1886 Bay View Massacre was one of the bloodiest in United States labor history. Seven workers were shot and killed by the state militia at the Bay View Rolling Mills during the strike for an eight-hour workday. Labor organizations still gather to commemorate the incident every May. "Ken does an amazing job in the sense of tying in some history with some aspects of the present day and what's really relevant in people's minds when it comes to labor, when it comes to Milwaukee," Kern said. The Seven-Mile Fair, a rejuvenating community mural in Sherman Park, a first-hand remembrance of the Sikh Temple shooting: all this and more is covered in a new anthology about Milwaukee and its residents. We talk with the editor about what it shows us about the city.